Orla finished school on Friday for the summer (yipeee, six weeks with my girl), which officially heralded the start of our big ‘Summer Art/Writing Project’. The plan is for us both to keep a summer art journal chronicling our holiday in Polperro in Cornwall (we arrived yesterday) and the rest of our summer adventures. The project will last until Orla goes back to school in September, though I may continue until the end of the month. I have also decided that I will concentrate on my lomo/analogue photography this summer. I will only be using analogue photographs for my journal. 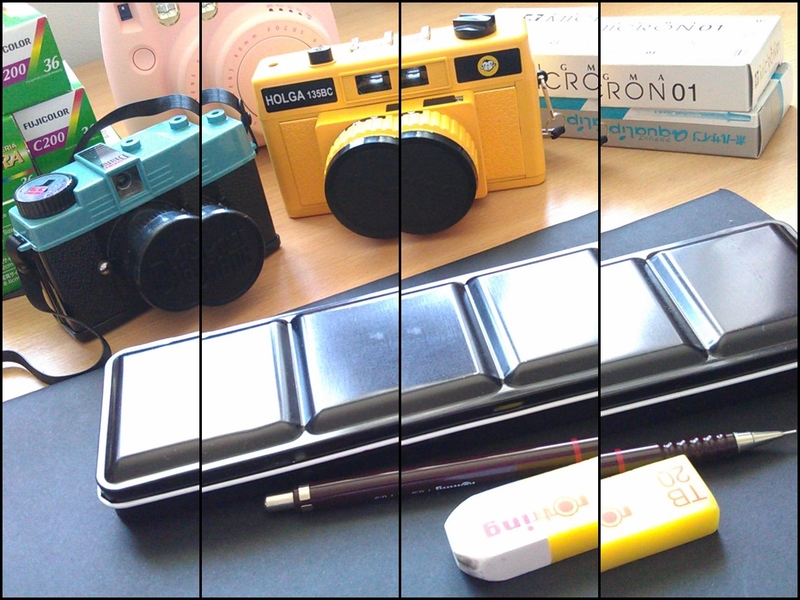 So, I have bought new films for my Fuji Instax 8, dusted of my Diana Mini and my Holga 135 BC. The sketchbook I am using is quite large, I will use my Canon to take pics of my art journal/sketchbook pages and post shots rather than scans. Can’t wait to get started. I will post shots of the journal in it’s entirety later on in the summer as a slideshow project. If you are interested in purchasing any original pieces, postcards and prints then please visit my ART SHOP.